The causality and etio-pathologic risks for patients with Type 2 Diabetes (T2DM) are important areas in modern medicine. Disease complications are largely unpredictable in patients with T2DM. In the future, we welcome therapeutics of both cutting-edge and traditional for anti-diabetic treatments and management with higher efficiency and less cost. Expanding medical knowledge, behavior/life-style notification in healthcare, modern genetic/bioinformatics diagnostic promotion, clinical developments (Traditional Chinese Medicine and personalized medicine) and new drug developments - including candidate drug targets should be implemented in the future. These efforts might be useful avenues for updating anti-diabetic therapeutics globally. 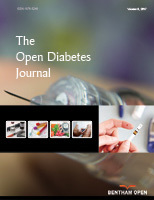 This article aims at introducing this information for T2DM treatment boosts. Keywords: Diabetes Mellitus, Diabetes therapy, Medical education, Type 2 diabetes, Insulin-derivatives, Bee extract, Cardiovascular complication, Hyperglycemia, Traditional Chinese Medicine. © 2018 El Lu et al.